The Hammond Grooves keeps and transcend the Jazz Organ Trio traditions. Formed by HAMMOND ORGAN, GUITAR and DRUMS, they add influences of brazilian music, soul jazz, blues and even rock music to their own compositions. A true universe of sounds and culture that emanetes from each of the hot valve tubes of Daniel Latorre’s Hammond organ, from the magic frases of Filipe Galadri’s guitar and from the exiting beats of Wagner Vasconcelos’ drums. Beside the soul jazz standards HG perform their own original’s that blend Brazilian rhythms with jazz music. The name Hammond Grooves is not coincidence. “The first idea when we assembled the trio was to perform live this unique group formation with the jazz and groove repertoire that we listened in the Blue Note, Atlantic and Verve recordings. But suddenly we start to make our own tunes using each band member’s influences, specially the Brazilian rhythms. 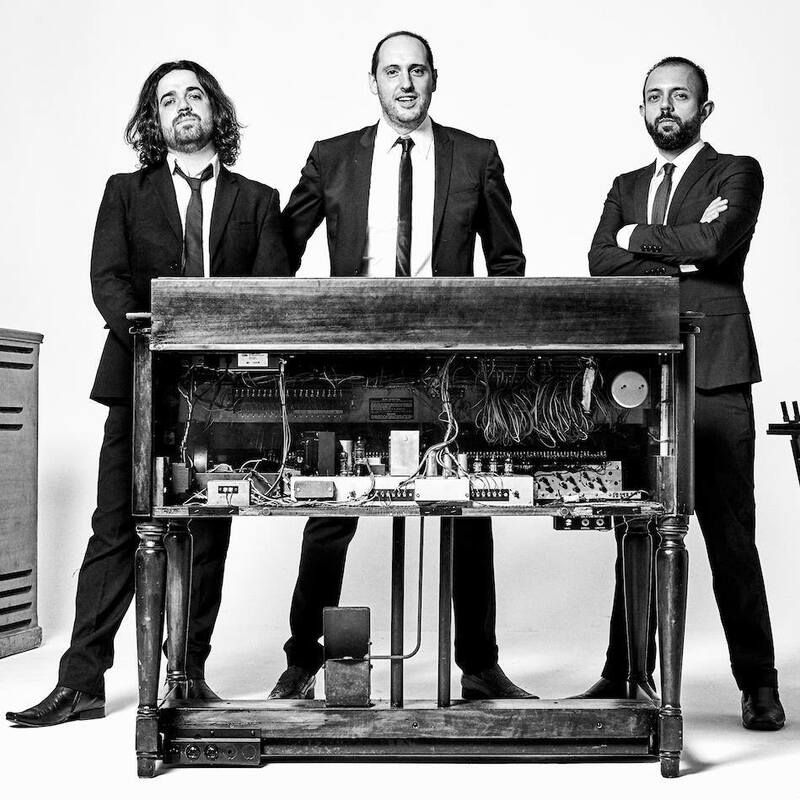 We sustained the name as a homage to this wonderful instrument, the Hammond organ, for all the history, philosophy and atmosphere that surround it” – as says found member Daniel Latorre. The band has more than 10 years in brazilian musical scene and participated of the most important local Blues and Jazz festivals. HG performs often at main music halls, restaurants, bars and clubs in São Paulo. Also performed at special corporative and privet events for companies like Kraft Foods, Oji Papers, Caltabiano, Casa do Saber, Radio Eldorado/Estado de São Paulo Group, Land Rover, Fundação Dom Cabral, Vogue Brasil, Shopping Higienópolis, Firmenich, Banco Volkswagen, Chiaparini & Bastos, Ernst & Young, FAAP (Fundação Armando Álvares Penteado), Livraria Saraiva, Viacom do Brasil, HP, Odfjell, Honda, Accor, SPFW, Goose Island, and many more.